There's an idea about goats that is firmly entrenched in the popular imagination: Goats will eat anything that isn't bolted down. They'll eat shoes, books, McRibs, even tin cans. Except, that's not really true at all. In some versions of the song, the goat gets out of this scrape. In many, he does not. Anger management issues aside, the song illustrates an idea about goats that is firmly entrenched in the popular imagination: Goats will eat anything that isn’t bolted down. They’ll eat shoes, books, McRibs, even tin cans. Except, that’s not really true at all. In fact, goats are actually extremely picky eaters who go after only the most nutritious options available to them. Solaiman says that goats are browsers who go after whatever in their environment will benefit them most. She’s seen them eat the bark off trees, because bark is a good source of tannin which supplies the goats with antioxidants to help ward off parasites and fungi. One thing goats aren’t crazy about? Hay. 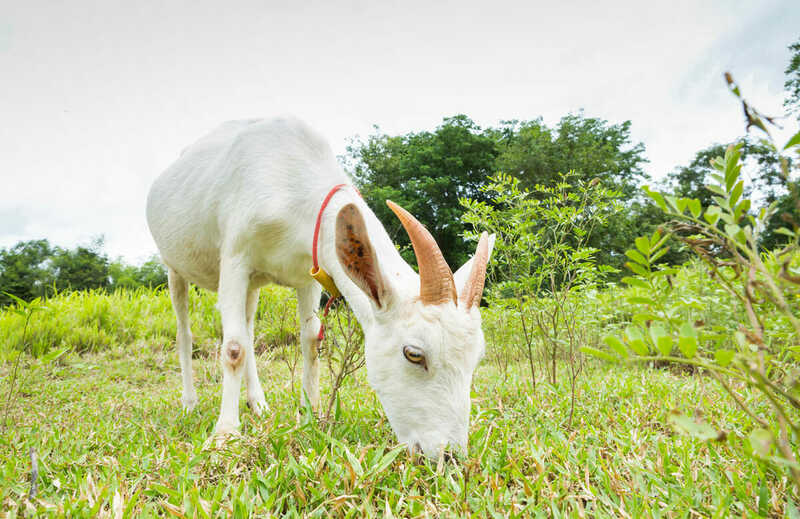 While livestock like cattle can get by on the feed, goats need a more varied, nutrient-rich diet. But what about when you wade into a goat pen and every mischievous little mouth is tugging at your shirt? Solaiman says this is just the curious nature of the goat. They do not want to eat your new Brooks Brothers, they’re just checking it out. And to hear Solaiman expound on her research subjects is to believe that a bit of saliva on your sleeve is a small price to pay for keeping company with a goat.